The original layout of the house featured many small rooms, and consequently a lot of walls. They started the renovation by first taking down a number of these dividing walls, to make the spaces more open. They kept the two bedrooms, which are located at the front of the house, but they moved the bathroom from the rear to the middle of the home, where it is now located next to the laundry room and a storage space. It was completely redone and is quite large, featuring a sink, shower and toilet. A third bedroom is located just above it. The living area is at the rear of the home and opens onto the back garden. 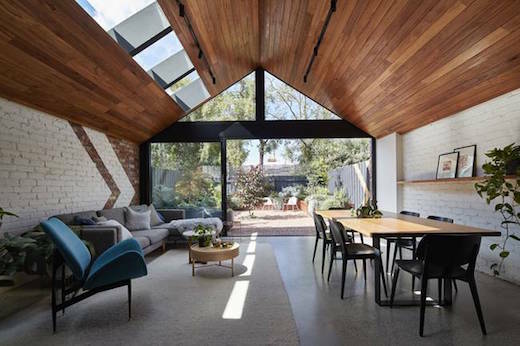 They also installed several skylights into the roof here to let in even more natural daylight. 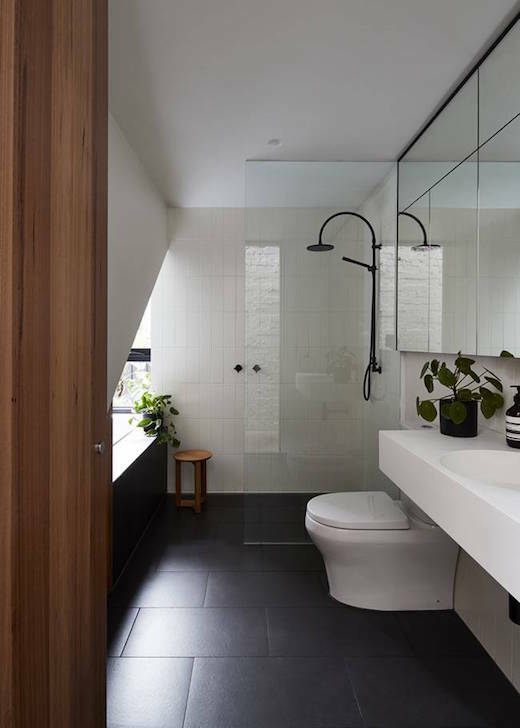 Apart from having a good connection to the garden, the clients also wished for a layout that would allow for both privacy, as well as spaces where the family could spend time together. 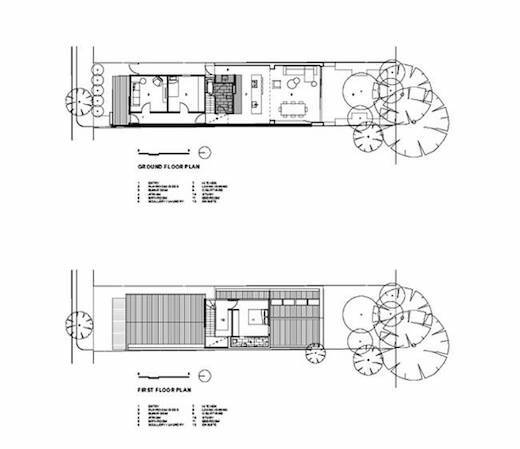 For this reason the architects kept the original layout of the bedrooms in the front, while the rest of the home is now basically one large space. 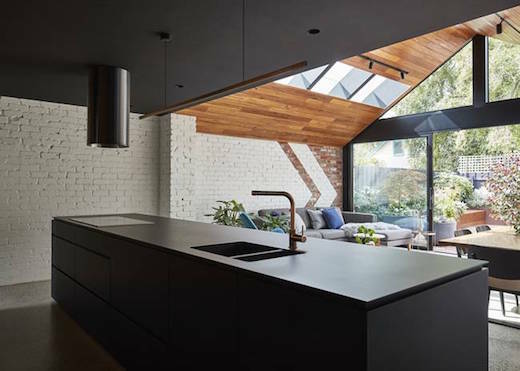 Glazing was installed along the entire back wall of the home, which together with the many skylights makes the interior appear spacious, aids ventilation and lets in lots of light. 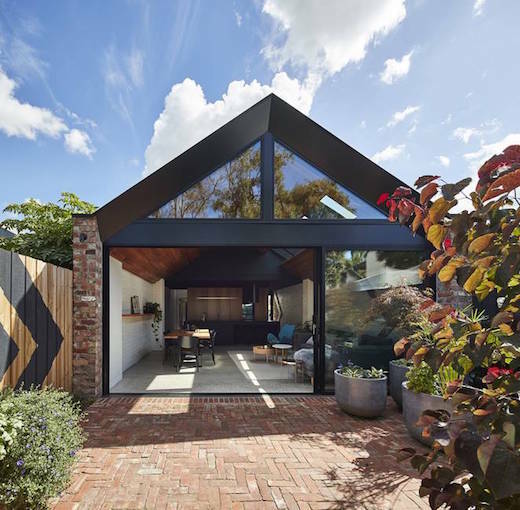 They kept the existing brick walls, but added timber and concrete during the renovation to make it more robust and give the home that modern, industrial aesthetic. 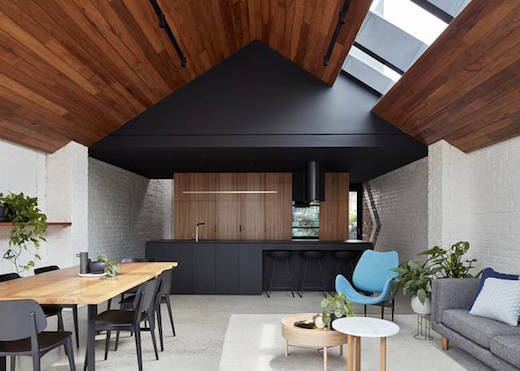 All in all, this is a great renovation of an old building, and they managed to keep heaps of material out of the landfill while transforming it into a lovely family home.